Heres a superb new online game from Yggdrasil Gaming. Every once in a while, avid casino gamers want to break away from traditional slot games where they see the reels spin and gain a couple of winnings from a few linear paylines. They like getting surprised whenever an icon that they've never seen before pops up and gives them a feature that adds to their fortunes. Try online slots in the UK with amazing bonus features today! 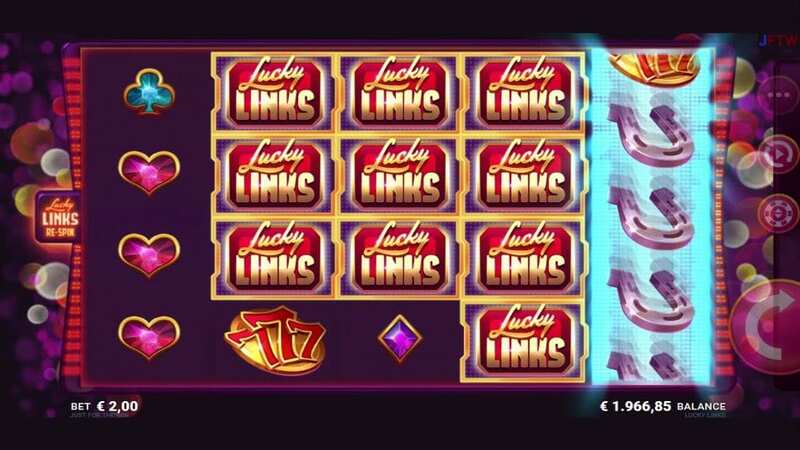 If you're a player that needs to break away from playing online slot games in the traditional way, then be prepared to lighten your screen up with Lucky Links. 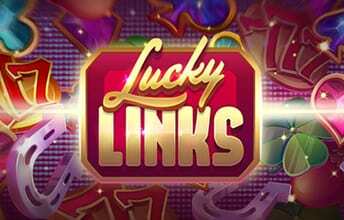 Created by Just For The Win (JFTW), Lucky Links provides you with 25 simple paylines that's added with a little twist. A twist that not many of its previous players ever expected. Just For The Win may have only been established in 2016, but don't let the brand's age fool you, for they have made their name memorable amongst many casino game suppliers. Based in Gothenburg, Sweden, the developers have been designing iGames in a way that no other creators have even thought of. The base necessity that they always apply to their products is that they are mobile friendly, that their consumers won't have to waste time and megabytes downloading a game which would stall them from making big winnings. And looking back on the great reviews that casino gamers have made on their previous game, Goldwyn Fairies, you won't be left disappointed once you've finished playing Lucky Links. You can discover more about the range of games from Yggdrasil Gaming here on WizardSlots online casino site. 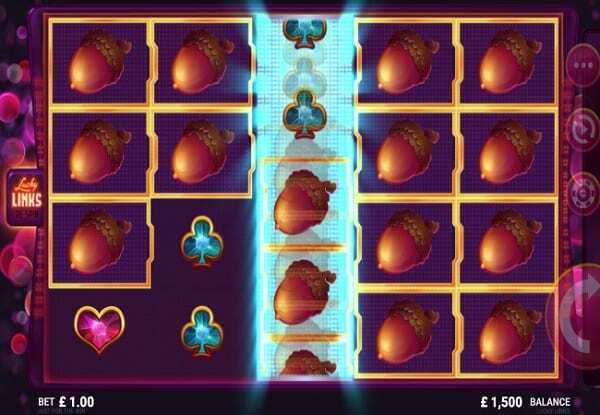 Dimly illuminated by a purple background, with some bubbly behind the game board, the developer designed the slot so that you go straight into the game where you see a 5x4 reel grid. If you get a winning combination of 3, 4, or 5 matching icons on any of the symbols, like you would on an original slot game. There's a detailed information about bonus features below for you to find out more. The base games that have higher values include a pine code, a four leaf clover, a horseshoe, and the lucky number 7. The icon with the highest value is the Lucky Links symbol. So, where is the twist? Well, the twist is in what the value actually is...Unlike traditional slot games, each symbol offers you multipliers instead of credits or coins. So when you place your bet before you hit the spin button, you would end up getting all of the multipliers added to it. There aren't any WILDS or SCATTERS in this game, but you do get re-spin icons that come in the form of a golden link. When you get 2 or more of these golden links joining together across the reels, you get a free re-spin, and the more links that get joined, the more re-spins you get. The game only ends when you get none of these golden links on a round, or when you get lucky and have the links on all of the 5 reels joined together.